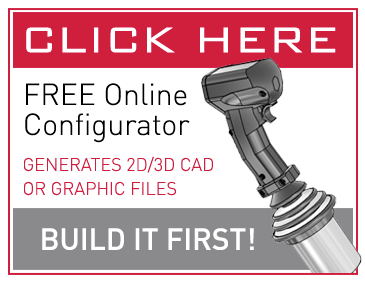 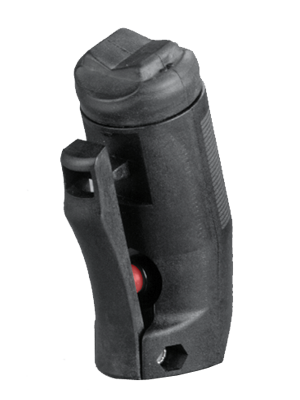 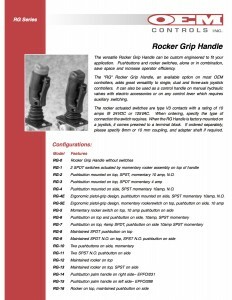 The versatile Rocker Grip Handle can be custom engineered to fit your application. 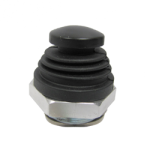 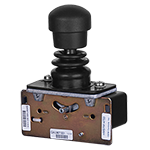 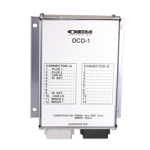 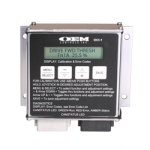 Pushbuttons and rocker switches, alone or in combination, save space and increase operator efficiency. 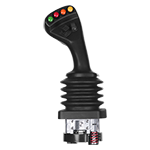 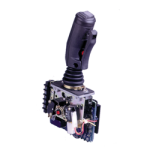 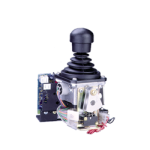 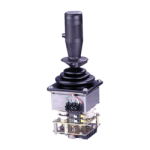 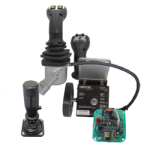 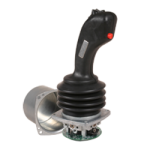 The “RG” Rocker Grip Handle, an available option on most OEM Controllers, adds great versatility to single, dual and three-axis joystick controllers. 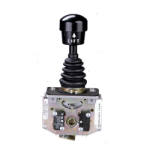 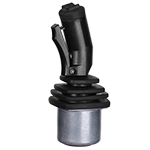 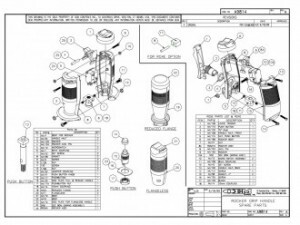 It can also be used as a control handle on manual hydraulic valves with electric accessories or on any control level which required auxiliary switching. 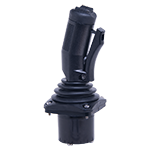 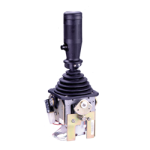 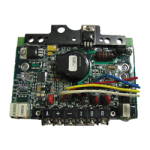 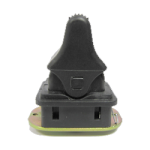 The rocker actuated switches are type V3 contacts with a rating of 10 amps @ 24 VDC or 125VAC. 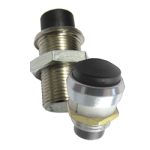 When ordering, specify the type of connection the switch requires. 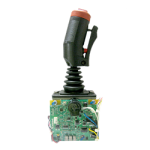 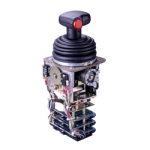 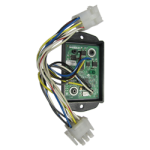 When the RG Handle is factory mounted on a joystick, it comes prewired to a terminal block. 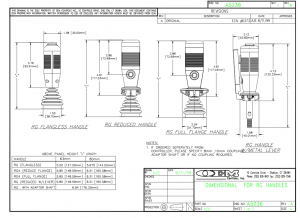 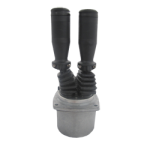 If ordered separately, please specify 8mm or 10mm coupling, and adapter shaft if required.